This Euro Ventilated Crate with 24 Compartments provides a perfect solution for storing, washing and transporting small glass and chinaware items. By reducing handling and breakages, the Perforated Container saves you both time and money. These Conveyor Baskets have been especially designed for automated washing technology, with heat resistant dividers to provide an effective and hygenic wash. 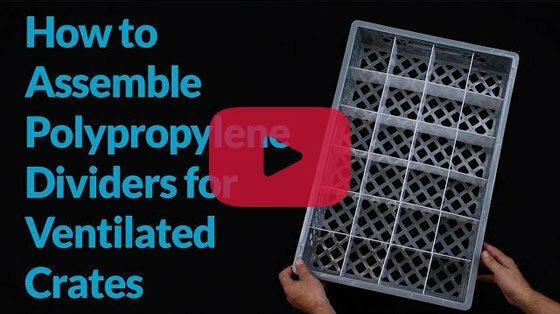 The Lattice Crate's ventilated base prevents the accumulation of dampness and allows liquids and residue to drain away. 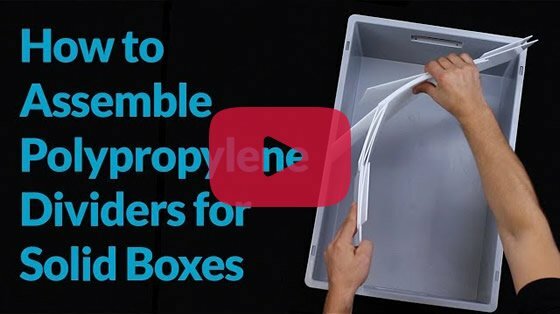 When stacked, these Ventilated Boxes maximise your storage space and allow you to easily identify which containers are empty and which are full. Plus, the dviders are easily removable, making these crates a multi-functional storage solition. 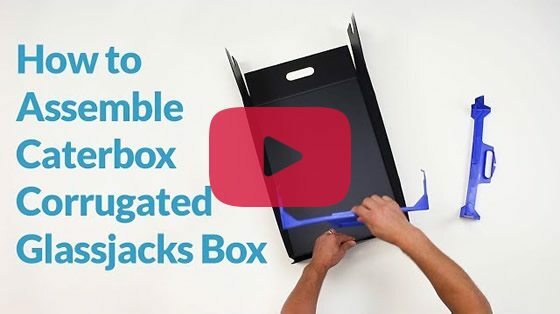 Here at Caterbox, we have a comprehensive range of accessories designed to work with our Ventilated Crates to maximise protection, improve hygiene and reduce handling. Anti-Bacterial Nets - prevents glassware from chipping and reduces movement while in transport. Place on Lids - keeps glassware free of dust and further optimised stacking. Transport Trollies - streamline moving your goods and increases productivity. 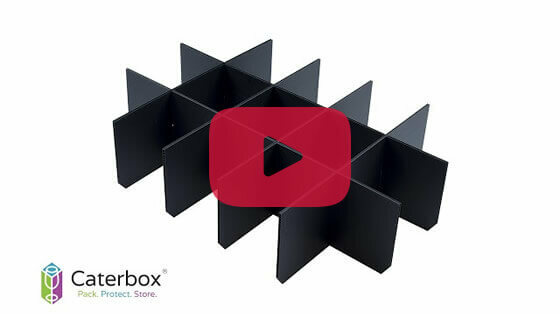 Printing - add a touch of personality to your boxes with your company branding with our in-house box branding service. For more information or for help placing your order please contact the team on [email protected] or call 01962 711007.